Oneir Solution’s easy-to-handle ERP financial software solution and superb support stimulate growth of small town business. Frank Van Gelder has bigger things in mind these days for his building supplies company, Dwight Lumber, and that’s very fitting. Tiny though Dwight, Ontario, the village where Frank founded the family business may be, its Lake of Bays surroundings have a huge reputation. Encompassed by Canadian Shield forest, anchored on ancient granite bedrock, and refreshed with pristine waters all around, Lake of Bays has been named by National Geographic Traveler magazine, as the top destination among its world-wide “Ten Best Trips of Summer” rankings. But that’s no surprise to Dwight locals, nor Frank. “The Lake of Bays region is so attractive to both cottagers and homeowners that it’s become quite affluent and recession resistant,” says Frank who is now planning to capitalize on that reliable affluence and open another Dwight Lumber location in the region. What’s given Frank the most confidence that he can sustain a bigger business is Dwight Lumber’s Enterprise Resource Planning (ERP) system from Oneir Solutions. While its roots are in accounting, Oneir’s ERP has evolved into a far-reaching database management system that enables users like those at Dwight Lumber to track and manage all the company’s internal cost functions – while better connecting the business externally with its suppliers and customers. “Oneir truly is more than just financial software,” explains Frank. “It is also, for instance, an excellent customer relationship management tool and good CRM is vital to to us. After all, our motto at Dwight Lumber with customers is: ‘We do what we say; our word is our commitment.’ It’s Oneir that very much allows us to keep that commitment day in and day out. Today, Frank and Dwight Lumber staff including the company controller Anna, Frank’s wife, can delve through the depths of company records on Oneir, almost without thinking. But when Frank first landed in Dwight back in 1992, he admits he didn’t know what to think. Frank certainly wasn’t used to thinking small. Though he went to Dwight for a career change and to live near his Dutch-born parents, Frank Van Gelder had driven two-and-a-half hours north out of great big Toronto, leaving behind a big-time senior executive job with a big national retailer. Frank’s early days in Dwight were spent building a home for himself, his wife and three children, which soon led him to the nearest building supplier who was about to either sell or close the business. Immediately, Frank saw a big opportunity in that and soon began his second career. “It was an interesting move on my part to, alright, because I knew zero about the business,” admits Frank. Though his accounting for his new firm started out on paper he soon knew he needed to make his job easier and seek out something better. His search for a computer accounting app that was both affordable and easy to use, landed on Vigilant, the DOS-based predecessor to today’s Linux-based Oneir. “I had very little accounting knowledge and like so many people in retail businesses, I am not at all a techie,” says Frank, “so it wasn’t long before we turned to the company’s very strong support service and started taking their advice. So began a 25-year-and-counting relationship between Dwight Lumber and what’s become Oneir Solutions. 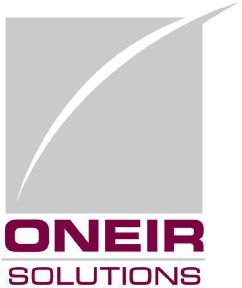 “What Jon Mainwaring, Jane Giggal, and others – first at Vigilant and now at Oneir – are very, very good at is helping you adapt the application to your particular needs,” says Frank. Among the business process-spanning ERP features and capabilities that Frank sings Oneir praises for are: a built-in price multiplier, which for lumber purchases, for instance, can, regardless of what length the 2×4 is cut to, or how many pieces are bought, the system produces invoices that customers can readily understand. Right away they see they are being fairly charged. And its a boon to inventory control. The company can instantly answer a customer question about how much of what the customer wants does Dwight Lumber have on hand, making it easy for customers to one-stop-shop for all their needs. As well, Oneir accounting of purchases goes straight to the general ledger making it easy to bill all contractors monthly. Invoices clearly show whatever discount the contractor has been granted, so the contractors can determine what level of discount they might want to pass on to their own customers. There’s similar accounting for payables that helps Frank to do quick sales analyses. From them he can see what margins of profit he has on all products sold and which ones he might more profitably adjust. Oneir’s ERP adaptability has also facilitated Dwight Lumber’s involvement with Sexton Group Ltd., the Winnipeg-based national purchasing organization that uses the collective buying power of independent entrepreneurs like Frank and their companies to help them compete with their industry’s larger and chain store retailers. No small praise that is.